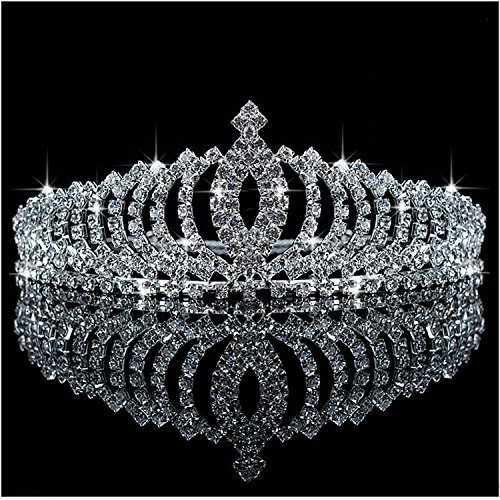 Wedding rhinestone headband Good quality: Made with alloy and clear rhinestone crystals in silver plated metal settings. 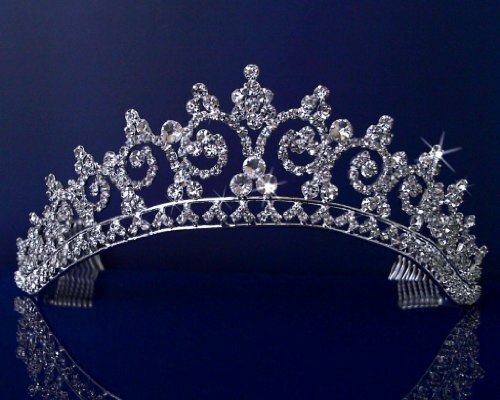 Delicate and exquisite workmanship, they will make you look noble and add your charm. Occasions: The delicate headband is a very charming hair accessory for weddings, dances, performances, parties, or other special occasions. Wonderful gift: Show your love to your wife, daughter, friends and mother, this is a good gift for them. 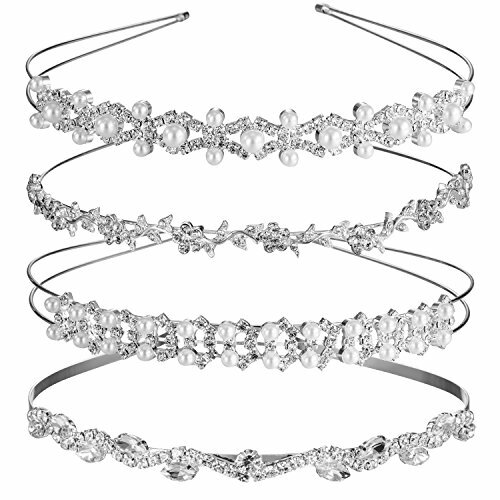 Specifications: Quantity: 4 pieces Color: silver Material: alloy, rhinestones Diameter: 5.51 inch/ 14 cm Width: 5.12 inch/ 13 cm Package contents: 1 x Flower and leaves headband 1 x Leaves headband 2 x Different styles faux pearl headband Warm tips: In order to ensure the long lifespan of products, please avoid water and sweat. Features: Size- Approx.40cm / 15.7 inches. Decoration Length: Approx. 23cm / 9.1 inches. 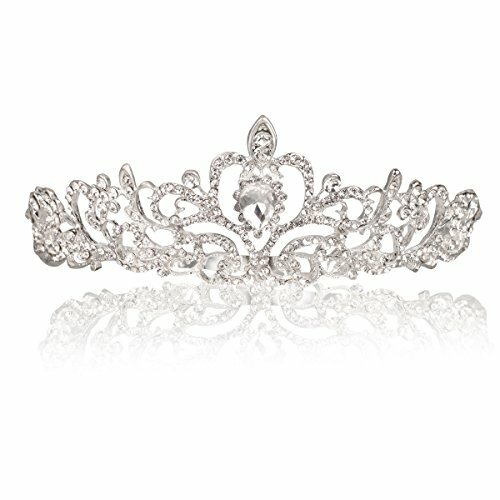 Design-This pretty tiara has a floral design with rhinestone flower and crystals along the whole piece. 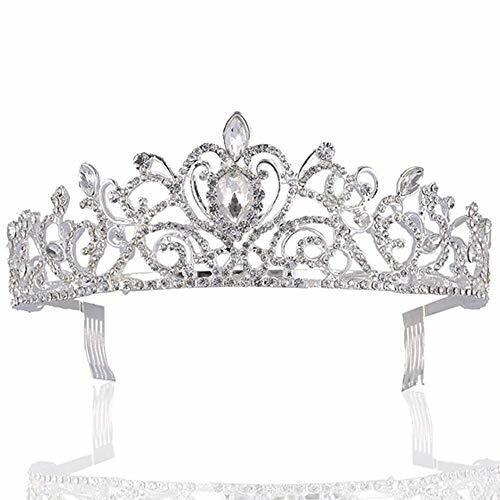 It's easily to fasten and take off, also be worn by a flower girl make you got compliments all day Occasion- It not just for special occasions (Wedding, Engagement, Prom), also can be worn on a daily basis and every opportunity that you want to be more charming. Ideal gift- Perfect for your lover, girlfriend, wife, mother etc. 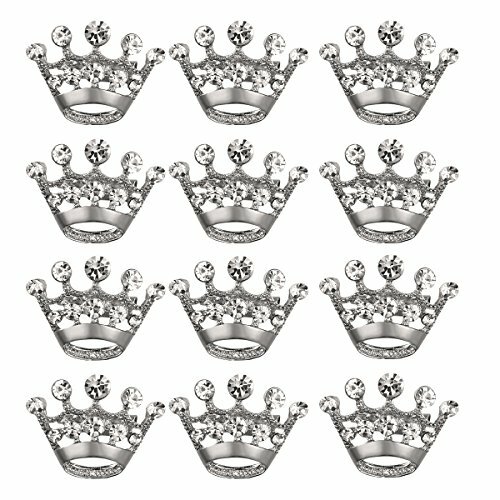 Fantastic hair accessories for weddings, proms, parties or other special occasions. 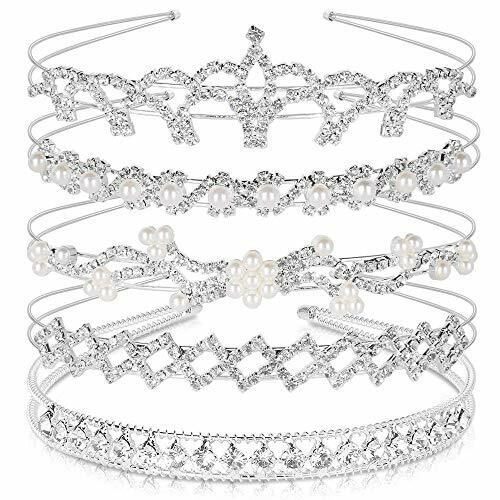 Specification: Quantity: 5 pieces Material: alloy, faux pearl and rhinestone Color: silver Headband length: about 14 cm/ 5.51 inch Headband width: about 13 cm/ 5.12 inch Package Included: 3 x Rhinestone crystals headband 2 x Faux pearls headband Warm tips: Please avoid water and sweat, which can effectively protect them, and make sure a longer service life. 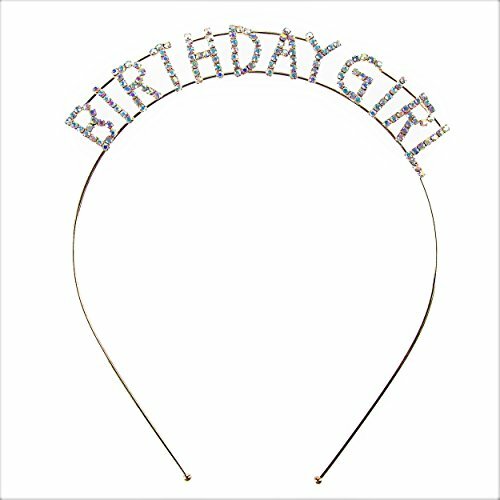 This rhinestone tiara is the perfect gift to make the birthday girl feel extra special and look fabulous on her day!